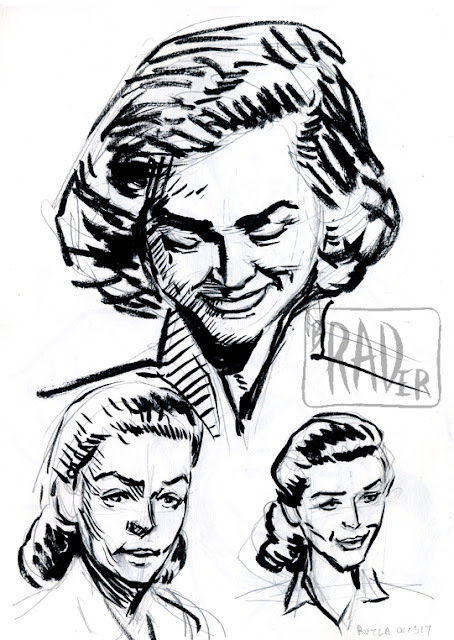 While digging through a sketchbook/journal, I found the originals to the Lauren Bacall portrait sketches I posted on January 8, 2017. The images I posted on the 8th were taken from photocopies I had made using the Warner Animation copy machine, hence the high quality. Apparently I hadn’t bothered to copy these two pages, not feeling them to be of sufficient quality. I rather like them now, especially the first one. I’ve discover recently that I frequently like old artwork better than I did originally; at the time of production I tend to be hung up on how well artworks match either the object I’m trying to reproduce or what I saw in my head. At a remove of several years, I no longer remember those things and so am free to appreciate the works on their own merits. Unless I draw better now than I did then. Which stopped being the case around 1987. 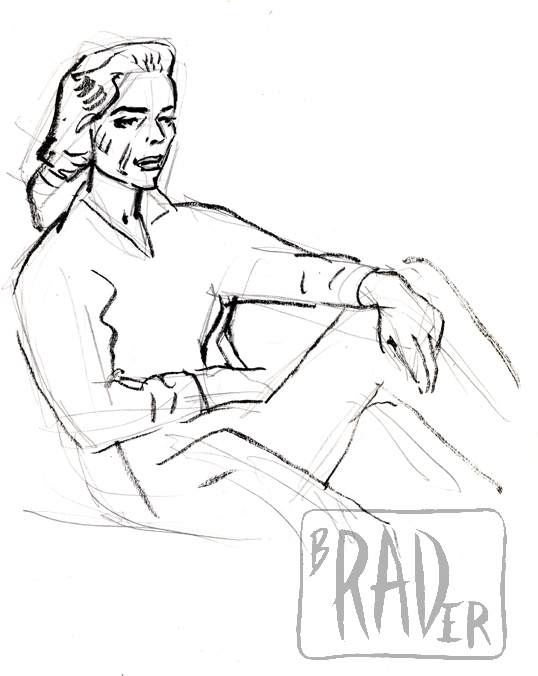 I don’t draw any better now than I did then, but I can draw more things and draw them faster and with greater ease. I guess that’s around the time that I gained mastery as a draftsman.